Category Archives: Hughes Dorothy B.
Nicholas Ray’s noir classic In a Lonely Place is one of my top ten favourite films. I’ve seen it a dozen times, probably more. It’s one of a handful of old films I watch every 18 months or so, whenever I want to remind myself just how good the movies used to be in the 1940s and ‘50s. As such, I’ve always felt slightly nervous about the prospect of reading the novel on which the film is loosely based. I’d heard that Ray’s version of the story was very different to Dorothy Hughes’ book (also titled In a Lonely Place), so much so that some consider it to be a completely separate entity. Even so, would the novel live up to my expectations? How would I feel about it compared to the film? Well, to cut a long intro short, I absolutely loved the book. It’s tremendous – so atmospheric and suspenseful, a highlight of my reading year. 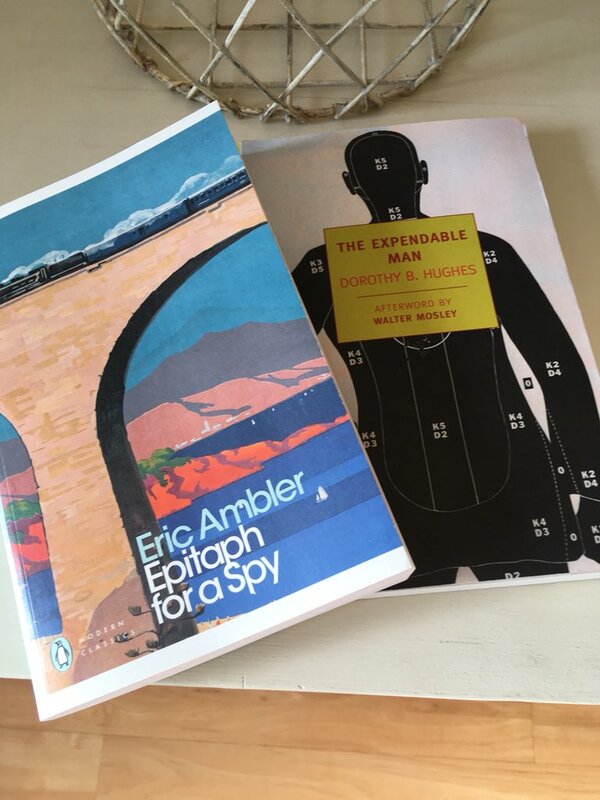 From here on in I’m going to focus solely on Hughes’ novel (first published in 1947) as there’s more than enough to say about it in its own right without drawing comparisons or contrasts with the film. Maybe that’s something for another time. The central character here is ex-pilot Dix Steele, now trying his hand at writing a novel following his discharge from the US Army Air Force at the end of the war. Dix has been in LA for about six months, conveniently holed up in a fancy apartment while its owner, an old college friend named Mel Terriss, is away in Rio. Not only is Dix living in Mel’s flat, he’s also driving his car, wearing his clothes and spending his money courtesy of some charge accounts he has managed to access. With all these resources on tap, you might think Dix would be feeling pretty comfortable with his life, but that’s simply not the case. From the beginning of the book, it’s crystal clear that Dix is a very troubled man; he’s damaged, depressed and desperately lonely. As the novel opens, Dix is prowling the city streets at night; he’s out by the coast, the fog rolling in from the ocean. When he spots a girl stepping off a bus, Dix’s interest is aroused. For the last six months, a serial killer has been on the loose in LA. Young girls are being murdered at a rate of one a month; different neighbourhoods each time, but the method is always the same – strangulation. To the reader, the nature of Dix’s connection to these killings is pretty clear from the outset. Nevertheless, Hughes stops short of focusing on the murders themselves; thankfully all the violence is ‘off-camera’, so we never actually see any of the crimes being played out in full. Shortly after the incident with the girl from the bus, Dix decides to look up an old acquaintance from the forces, Brub Nicolai. When he calls at Brub’s apartment, Dix finds his old friend a somewhat changed man; much to Dix’s surprise, Brub has landed a role as a detective in the LAPD. When he learns that Brub is working on the recent sequence of killings, Dix knows he should back away. Nevertheless, there is something fascinating about skirting close to the source of danger. In some ways, Dix sees Brub as an opportunity to discover exactly how much the cops really know about the perpetrator, so he decides to stay in touch with his friend, quizzing him carefully while trying not to make any slip ups in the process. Dix knows he is flirting with danger by sticking close to Brub, but he simply cannot stop himself. In his own mind, Dix is untouchable, his crimes untraceable. That said, it’s not just Brub that Dix has to contend with, there’s his wife too, the smart and perceptive Sylvia, a woman who clearly loves her husband, so much so it serves to reinforce Dix’s loneliness. Dix is a devilishly complex character. Deep down, he is resentful of all the ‘rich stinkers’, the guys who get everything without having to lift a finger for it. Guys like Mel Terriss, his old acquaintance from Princeton; men like his Uncle Fergus, the patron who mails him a cheque for a measly $250 each month even though he could certainly afford a lot more. Hughes is particularly strong on portraying Dix’s anger and resentment towards the lucky people, the source of which stems from his own lack of status in life. As a pilot in the forces, Dix was respected; he had power and he had control. Now he has nothing. As the story unfolds, we learn that Dix remains tormented by a woman from his past, a girl named Brucie whom he knew from his time in England during the war. Ever since then, no woman has ever come close to lighting Dix’s fire; no woman except his neighbour, the glamourous Laurel Gray. When Dix spots her for the first time, he is utterly smitten. It’s not long before Dix and Laurel are an item, spending most of their evenings and nights together in Dix’s apartment. Laurel is another damaged character. Outwardly self-assured, but more than a little vulnerable at heart, divorcee Laurel is wholly dependent on her wealthy ex-husband for support. Ideally, she’d like to break into the movies or a show, something that would place her in the spotlight where she seemingly belongs. All goes well between Dix and Laurel for a week or two, but then everything starts to crumble. One evening, Laurel doesn’t come home on time. Dix’s mind goes into overdrive, he gets angry and jealous; and when Laurel gets back, there are hints that the situation might spiral out of control. In this scene, Dix realises how close he has just come to hurting Laurel. In a Lonely Place is a first-class noir – superbly crafted, beautifully written. I don’t want to say too much more about the plot as it might spoil things, but it’s pretty suspenseful right to the end. The characterisation is excellent, complex and subtle in its execution. Even though the novel is written in the third person, Hughes holds the reader close to Dix’s perspective throughout. We gain an insight into the mind of a deeply tormented man. Dix is angry and bitter and twisted, yet he is also rather vulnerable and fearful for the future. A lone wolf at heart, the war has left him with no real hope or purpose in life. Even though we know Dix commits some unspeakable acts, his pain is clear for all to see. At times, there is a sense that Dix is in denial about his actions, as though he is trying to distance himself from the other Dix, the one who hates women: ‘he wasn’t the same fellow.’ If only things work out with Laurel, then everything will be okay. The other leading characters are portrayed with depth too. I marked up a great quote about one of the women in this story, but I fear it might be too much of a spoiler to include. Hughes also excels in the creation of atmosphere and mood. As a reader you really feel as though you are walking the streets of the city at night, moving through the fog with only the dim and distant lights of LA to guide you. 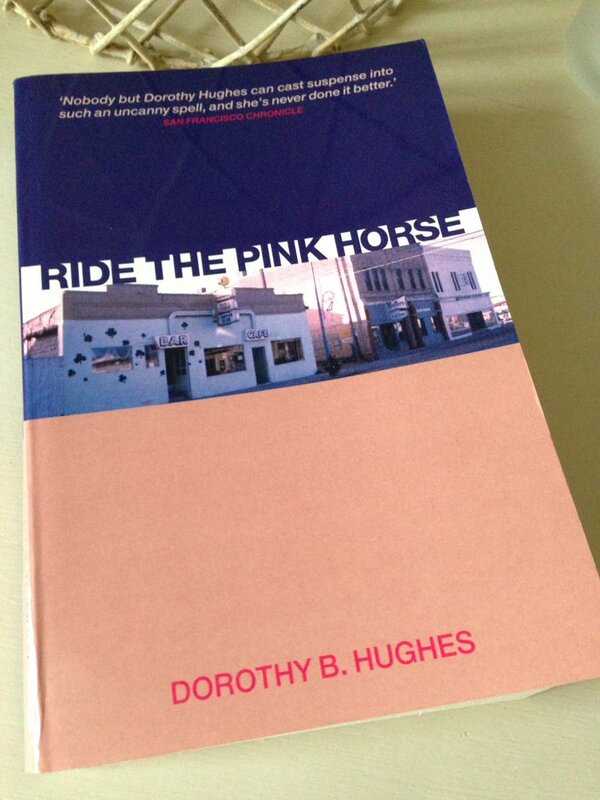 If this novel is representative of Dorothy B. Hughes’ work, then I can’t wait to read another. Caroline has also reviewed this book here. 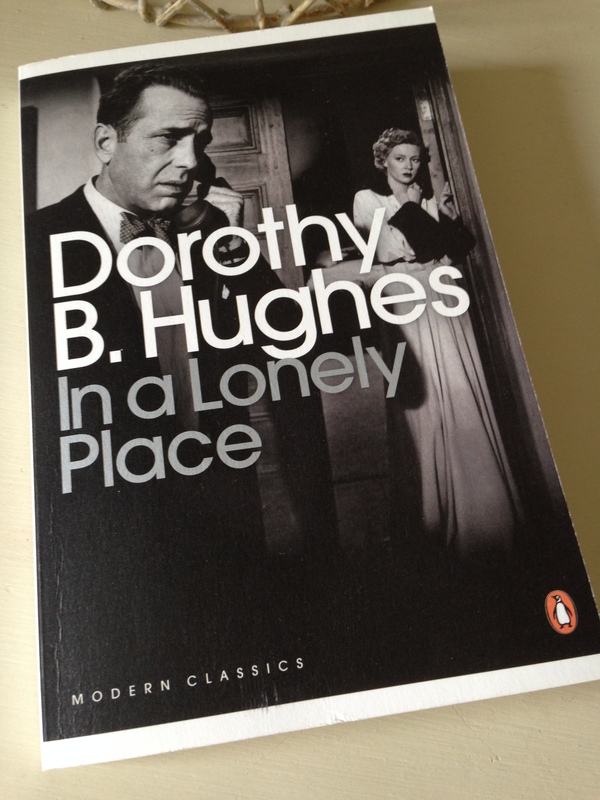 In a Lonely Place is published by Penguin Books. This entry was posted in Book Reviews, Hughes Dorothy B. and tagged #1947Club, #ReadWomen, Book Group, California, Crime, Dorothy B. Hughes, Fiction, Noir, Penguin Books, Penguin Modern Classics, US on September 6, 2016 by JacquiWine.